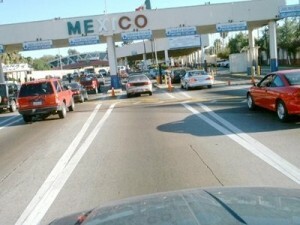 Many visitors to Mexico do not realize that their US or Canadian vehicle insurance is not valid in Mexico. It is only once they reach the border post that they become aware of this fact. At this stage, it may be too late to obtain adequate insurance for your needs as the queues are normally long at the border and you will not be offered the wide choice you can obtain online. The law in Mexico stipulates that you need to hold insurance offered by a Mexican company. Insurance agents who sell this type of insurance online to purchasers based in the US or Canada should be authorized to do so. Many US insurance companies inform their clients that they are covered whilst traveling in Mexico, but this is normally only for your own vehicle and not third parties. This makes it imperative that you buy Mexican auto insurance from a licensed provider. You should read the fine print, but that is not all you need to know about. You should read through the policy carefully before you part with your money and ensure that you are obtaining exactly what you want. 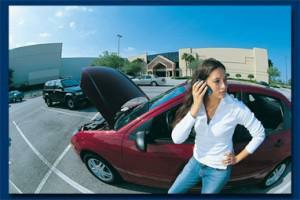 Do you have the facility to have your vehicle repaired in the US or Canada? Does the Mexican Insurance company you are using have an office based in the US or Canada, which will allow you to process your claim once you return home? What are the deductibles on the policy? Should you have the facility to repair your vehicle within the US or Canada, what is the hourly labor rate allowed? Is the policy inclusive of roadside assistance? Is the policy inclusive of legal assistance? Does the policy offer medical evacuation or any other assistance with travel back to your home country? You will often find that issues such as roadside, legal and medical assistance are obtainable as extras to the basic policy. If you purchase Mexican auto insurance from Mexinsurancestore.com you can also get roadside assistance in addition to the basic car insurance coverage. 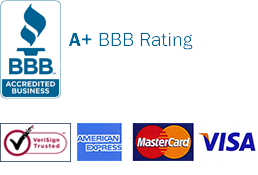 You will have the option to purchase liability only or comprehensive insurance coverage. If you opt for liability only, you and your passengers will not be covered at all as only third party damage and injuries will be covered by the policy. If you opt for comprehensive Mexican auto insurance, both parties in an accident will be covered for all costs as regards damage and injuries. Comprehensive Mexican car insurance offers you peace of mind and security, particularly if your vehicle is still under a finance agreement. You may be offered the facility to obtain gap insurance. If you opt for this and you are involved in a vehicle accident, your insurance provider will settle the outstanding amount payable for your vehicle, regardless of the actual value of the vehicle. This is an excellent option to choose as it ensures that you are not stuck with having to settle the potentially huge variance between the actual value of your vehicle and the amount you owe your finance company. Before you pack your bags into your vehicle for your trip to Mexico, you should ensure that you have at least one printed copy of your policy, as well as all contact numbers that you may require should you be involved in a vehicle accident. I’m only new in Mexico and it saves time using the GSP system. This is my guide to reach destinations I have not yet seen. Easy route is good for me, especially if I have planned ahead of time. For all my driving tasks, I don’t forget to bring my Mexican insurance. I’m provided with what I need: Mexico road map. I need this when traveling to new places in this great city. This custom-designed map is sent to me by Mexican Insurance Store. I’m so grateful then! The thing I love about Mexico Insurance from Mexican Insurance Store is that my car repairs can still be done in California after a trip to Mexico if anything happens. Last December vacations, I traveled with my whole family to Ensenada from San Diego using a RV. I hired two ATVs just to enjoy a ride as we explored more of Mexico’s beaches. It was so easy to get my car covered with a Mexican insurance policy online. Ensenada is a great place to be! If you live in Los Angeles and you’ve never been to Ensenada, then, you are missing a lot. All you need in terms of travel documents are Mexican insurance for your car, tourist visa and Passport. The whole family doesn’t waste time going to Mexico for a few days only. We make the most of visiting the country by spending longer. We make sure everything is prepared and that we have planned for it wisely. Get Mexican insurance for a happy journey. You may go without insurance and no one would know it or even arrest you. But if something happened, you can’t run from the Mexican law. Mexican insurance is a must and everyone who travels and drives must have it. You can’t go wrong in buying online Mexican insurance. Someone’s ready to help if you want clarifications and additional information. It’s important to understand everything in your policy. To save money and time, buy quality Mexican auto insurance online. Quality offers more benefits and advantages in the long run. With online services, finding a company and policy just happens in minutes. Car maintenance and tune ups are a must before Mexican road traveling. Always get things checked out before leaving. You can even make it better by ensuring that you travel safely by buying Mexican auto insurance cover for your car. Typically, the shrimp festival entices lots of people from Mexico communities, including those in Arizona and California along the border. Whether you go online or at the border, you’re required by Mexico law to get a Mexican insurance policy before driving lawfully inside Mexico.